Part-II emphasizes the total delink between money and the SSSO that Bhagawan always stressed upon. Selfless and noble work will draw the required finances towards itself automatically – is Bhagawan’s dictum. He never wants any office bearer or any member of the SSSO to beg for money. 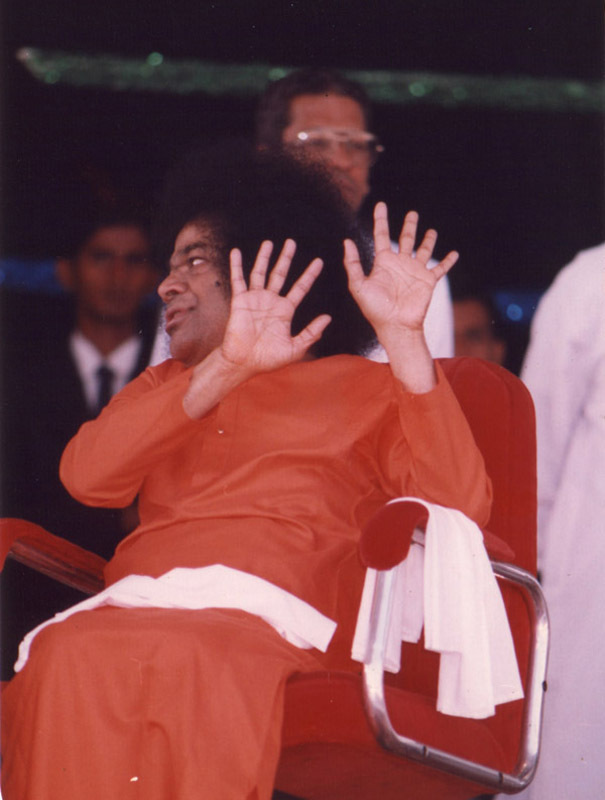 Bhagawan came down heavily on several occasions and reprimanded those who had stretched out their hands for money. 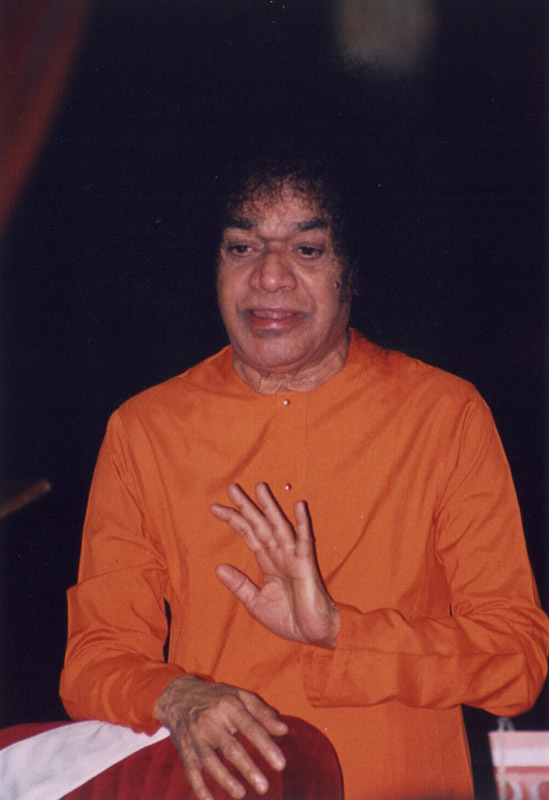 Bhagawan’s wish is that the SSSO is a spiritual organization, meant for bringing people closer to God through love, service and sacrifice, and should always remain as such. He cautions against any move that would give the SSSO the stamp of a commercial organization. The nine audio extracts in this posting are taken from the Discourses delivered by Bhagawan in the years 1975, 1980, 1985, and 1999. In Clip-1, Bhagawan refers to the members of the SSSO as the spinal column of the Organization. Clip-2 talks about service being the prime motto of the SSSO. Bhagawan points out that any connection with money will spoil the very image of the SSSO. In Clip-3, Bhagawan states that what He wishes is the wealth of virtues and not this miserable wealth. He proclaims that even if there are 10 associations that relate to the Sai ideals, they are enough. In Clip-4 Bhagawan explains that not even a single paisa from the Trust is ever used for any celebration. Thousands of Seva Dals and thousands of volunteers offer their services absolutely free, out of love for Bhagawan. Clip-5 further elaborates on this point and Bhagawan advises everybody to learn how to celebrate programmes by taking Swami as an example. 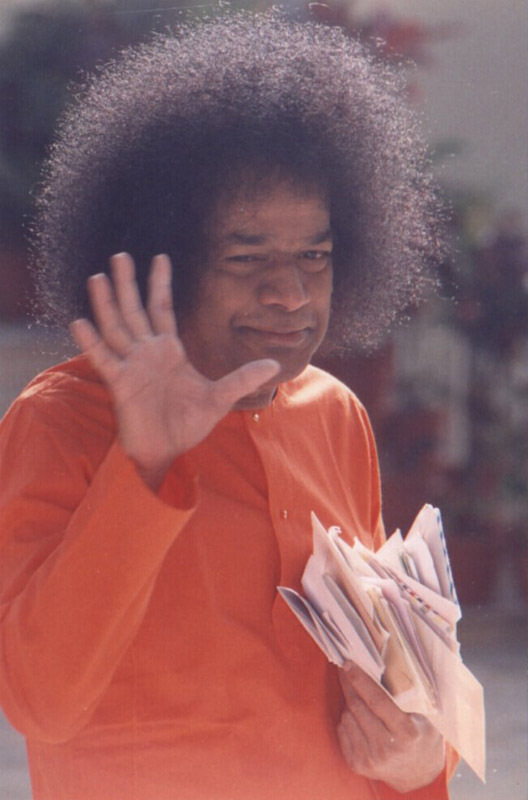 In Clip-6 Bhagawan dissuades the members of the SSSO from collecting any money. If anyone wishes to contribute, Bhagawan advises her/him to directly deposit into the bank account but never to give money to any individual in person. In Clip-7 Bhagawan declares, “...never stretch your hand before anyone. If you have any necessity, come to Me, I will give you”. He also lists the six qualities of a true devotee. Clip-8 is about one of those instances where Bhagawan comes down heavily on those who have collected money for the Trust. He gives them back the money asking them to use it for the welfare of the people in their respective districts. 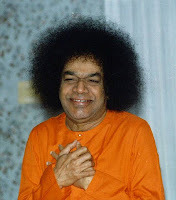 Finally, in Clip-9, Bhagawan says that the only connection that the members of the SSSO must have is heart to heart and love to love. The SSSO must nevre become a commercial organization. Members of the Sathya Sai Organization are like the spinal column of the body. If the office bearers do not conduct themselves along the right path, the very spinal column of the organization will get broken. Therefore do not lead the organization along the wrong path. Get a good name by leading the Sathya Sai Organization, which is an ideal for all other organizations; along the Divine, holy, and ultimate path. There can be no connection between money and the Sathya Sai Organization. Any organization having link with money cannot be Sathya Sai Organization at all. Love for love and heart for heart alone can bring about proximity and bonding. You all must live in unity, manifest your Divinity, promote the same, and determine to uphold the culture of ancient traditions of Bharath. You must develop the broad mindedness that service to man is service to God. Discard the narrow feelings of me and mine. The problems of the world today can be solved only through Love. Because of lack of love, humans are behaving worse than the cruel animals in the forest. Therefore, promoting the feeling of love and getting rid of the narrow minded feelings, you must engage in service to society with a Divine broad (generous) heart. 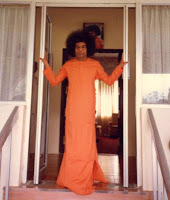 It is not only today but at any time there must be no connection between Sathya Sai Organization and money. This is My wish. Such a connection is a very dangerous one. Not only that, the very name (image) of the organization will be spoilt by this. What Sai wishes is the wealth of virtues and not this miserable wealth. Even the Sathya Sai Organization will have no necessity of wealth. They are doing Bhajans, Nagar Sankeertan, Social service, Seva in Hospitals. Why do you need money for any of these (activities)? If virtues and according to that, strength is there; if Icchha Shakti (will power or strong wish) and Kriya Shakti (strength or power of action) is there; then there need not be any relationship between these noble activities and money. It is not that there are no associations (among SSSO), which proclaim that money is required for carrying out such noble activities. Such associations are actually bringing disrepute to the Sathya Sai Organization. Even if there are 10 associations that relate to the Sai ideals, they are enough. Why these 100 and 1000s of associations? We do not need them. One teaspoon full of cow’s milk is enough, why barrels and barrels of donkey’s milk? Embodiments of Divine Atma, even as we get onto the path of spirituality in different ways, perform various sacred activities and undertake service to society; Maya (delusion) which is very powerful, engulfs man and makes him take onto many wrong paths. Death is sweeter than the blindness of ignorance. The engulfing Maya is so powerful that it can delude any type of person within a few seconds. There are very few who have understood the principle of Sathya Sai. If one has truly understood the principle and truth of Sathya Sai, then there would be no room for any doubt. One small example to illustrate this: In the last three months the Sathya Sai Health and Education Trust has created a corpus fund. Several doubts have been raised regarding this, different meanings have been attributed based on different perceptions, and these have led to many different interpretations and misinterpretations by several people. To understand the truth in this matter, it is very essential for Me to speak in this public gathering and therefore I am making this point. There is no connection between money and Sathya Sai. 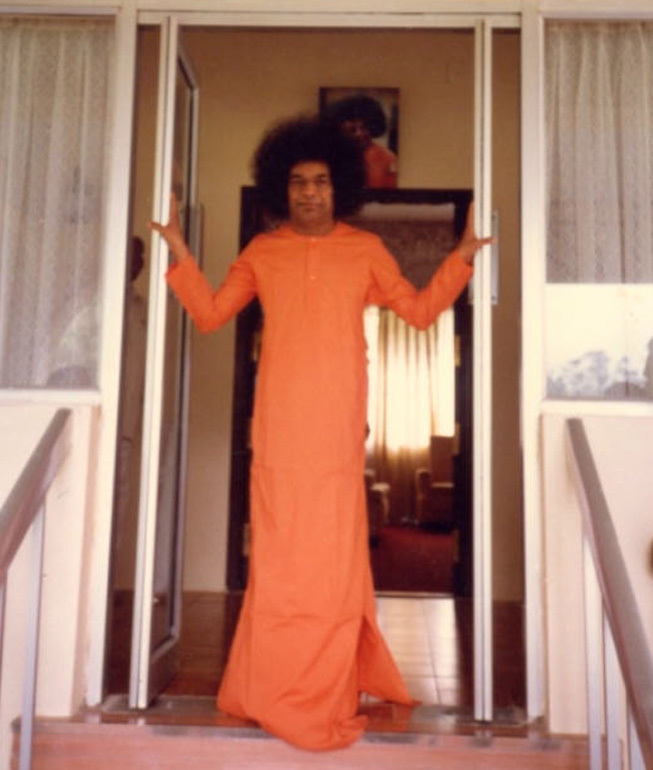 Not only today, but even in the past, there has been no relation between money and Sathya Sai. Sathya Sai will never desire for this mean money. There has been a lot of negative propaganda that a lot of money has been collected for the celebration of the 50th Birthday of Sathya Sai. What is the connection between Sathya Sai’s 50th Birthday and money? 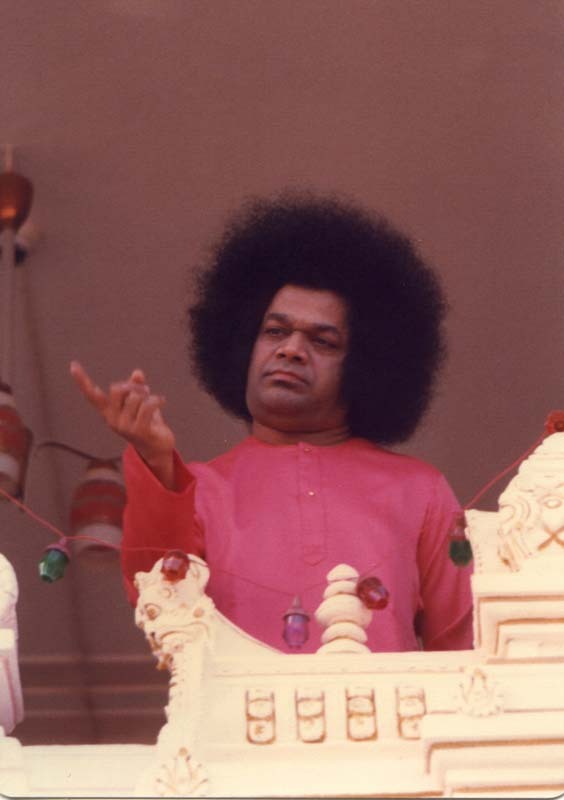 There is no connection between money and the Central Trust or between money and Sathya Sai. Thousands of Seva Dals and thousands of volunteers have come and are carrying out their respective tasks, are keeping their respective places clean, and are participating in the multifarious activities of the Ashram, offering their services and noble qualities and thus maintaining this beautiful and sacred Mandir (temple). It is not possible to use even one naya paisa (from the fund collection) for the birthday celebration of Sathya Sai. One more point. Even for small trivial matters and for small trivial programmes, money is being collected. There are many rich people, many able bodied people. Even if 1 or 2 of them get together, so much work can be accomplished. Our Organization should never get into the act of going unnecessarily from house to house and begging for money. Here is a small example. A magnanimous gathering is happening in Puttaparthi. The World Conference is taking place in Prasanthi Nilayam. Looking at such a large congregation, those who do not know, may feel that so much money may have been collected, so many committees may have been constituted, so many (bill) books may have been printed, so many receipts may have been given. (However) Even one naya paisa has not been collected through donation. For this Conference that is full of love, there is no need for any money. There is the Purnachandra Hall that is a permanent one. My students are there to arrange the mikes and make other arrangements. My teachers and other devotees have assembled here to organize other programmes. This has nothing to do with money. Because they happen without the need for any money, all our conferences go on victoriously. If any relationship or connection with money comes in, then one will be in East and the other in West. Several divisions will appear. Thus, My Life is My Message. The manner in which Swami celebrates programmes in Prasanthi Nilayam, you must follow the same methodology. You eat your food and you stay in your homes. You face so many challenges, difficulties and losses and yet with tolerance you are experiencing this happiness. All this has nothing to do with money. Therefore, we must understand these things. In some states, the wrong path of collecting money even for small trivial programmes is being adopted. Embodiments of love, even if the office bearers go astray on the wrong path, the others should never accept to go along this path of begging. I am wishing that none of you (members of SSSO) take the Sathya Sai Organization on the path of collecting money. Rather, you should perform the Sadhana of taking the Organization along the path of developing virtues and present the model of an ideal life to the world. Those who are interested and enthusiastic and have the ability to give may contribute anything to the Health and Education Trust. Sai has no objection to that. Here also, there is a simple solution. Do not give any money into anyone’s hands. Those of you who are enthusiastic may directly go to a known bank and deposit the money in the account according to your ability and take the receipt. But do not give money directly into the hands of any individual. If you do so, you will be responsible in making the sacred name of Sathya Sai unsacred. In our life, we amass money through many improper means. It is necessary to bring fulfilment to such money by using it in sacred activities. That is why our ancient Bharathiyas have advocated Dharma and Charity. Swami has no desire for anything. 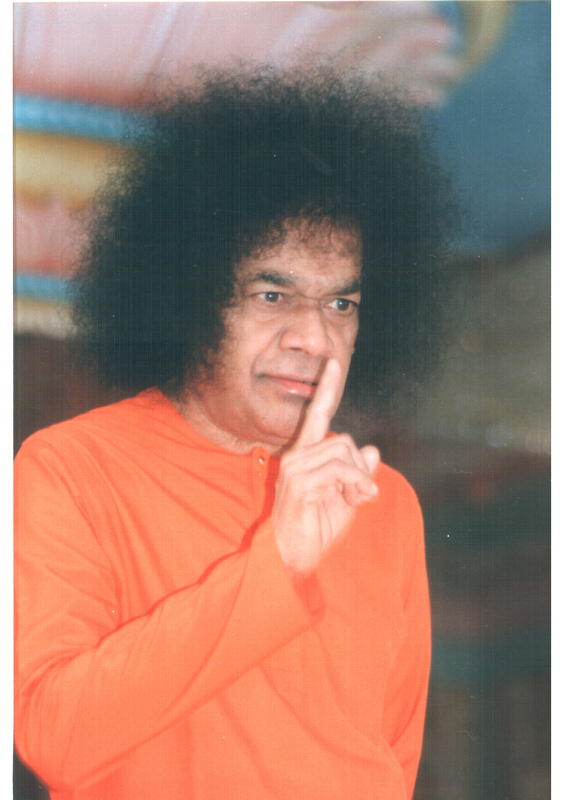 The Sathya Sai Organization must progress further through the quality of sacrifice. Then alone will the nation of Bharath be restored to its glorious ancient culture. This is not that far. Very soon there will be a resurgence of our ancient culture. Therefore, all members of the Sathya Sai Organization must develop sacred feelings, nurture sacred thoughts and perform all actions with noble thoughts. Then there is bound to be victory. Therefore what we need to do is this: never stretch your hand before anyone. If you have any necessity, come to Me, I will give you. Why do you stretch your hand like this? In fact members of the organization that stretches its hand like this are not devotees at all. They all will become “beggars”. But we must become “biggers’. We must set an example by living an ideal life. We must engage in activities that are selfless. We should help the poor, we must respect the forlorn. Only when we undertake service activities like this, we can be called devotees. I have told a number of times. What are the qualities of a true devotee? Only the one’s who have the qualities of Sadgunambulu (good qualities or virtues), Sadbuddhi (good mind), Satyanirati (adherence to truth), Bhakti (devotion), Kramashiksha (discipline), and Kartavyapalana (performance of one’s duty); are true devotees. We must participate in service activities. I only want your pure Love! Since today the office bearers (of SSSO) of all the States of India are here, whatever money has been extracted from different states, whatever wealth has been got by begging from different districts; I am returning all that money of 60 lakhs got from begging, back to you. You only make use of this. From whatever district you have collected this money, use it in the same district to help the poor and forlorn people by doing service in the right way. The only thing I seek from you, for which My Hand turns for receiving (palm upwards), is your pure, serene and selfless Love. For no other thing will My Hand ever turn to receive. For everything else, My Hand will always turn to give (palm downwards). Therefore, recognize the truth that in the name of Sathya Sai (Organization) if any money is collected, it can never be connected to Sathya Sai. You must also act accordingly. I do not desire for this, I have never desired for this and I will never desire for this (wealth or money). What I seek is sacred feelings alone. Even these sacred feelings are not for My sake. They are for the welfare of the world. For the welfare of the world, the members of the Sathya Sai Organization must develop a sacred heart, enter into this world, clean the dirt that has accumulated and promote a Divine environment. Our work is Seva, Seva, Seva. This must be our primary aim. Today even spiritual organizations are becoming commercial establishments. But Sathya Sai Organization must not become a commercial establishment. What sort of business must be there? Heart to Heart and Love to Love. We must get into the business of giving and receiving. Herein, there cannot be a relationship with any object or with money or with anything else. An Organization that develops a relationship with (material) objects and with money can never make any progress. Therefore we must aspire for union of heart with the heart that is truly close to the Divine. We must connect Love with Love. We must join our hands and do service. In this manner we can experience the Viswa Viraata Swarupa (Cosmic Form). 01-What according to Bhagawan is the duty of the members of the SSSO, whom He refers to as the spinal column of the Organization? 02-What according to Bhagawan, would happen if there were a connection between the SSSO and money? 03-What are the activities of the SSSO with reference to which Bhagawan says that the Organization would not require any money? 04-What are the salient features of the programmes organized by Bhagawan in Parasanthi Nilayam, which He says must be emulated by all? 05-What is the ideal way suggested by Bhagawan, in which enthusiastic donors can contribute to the Trust, if they so desire? 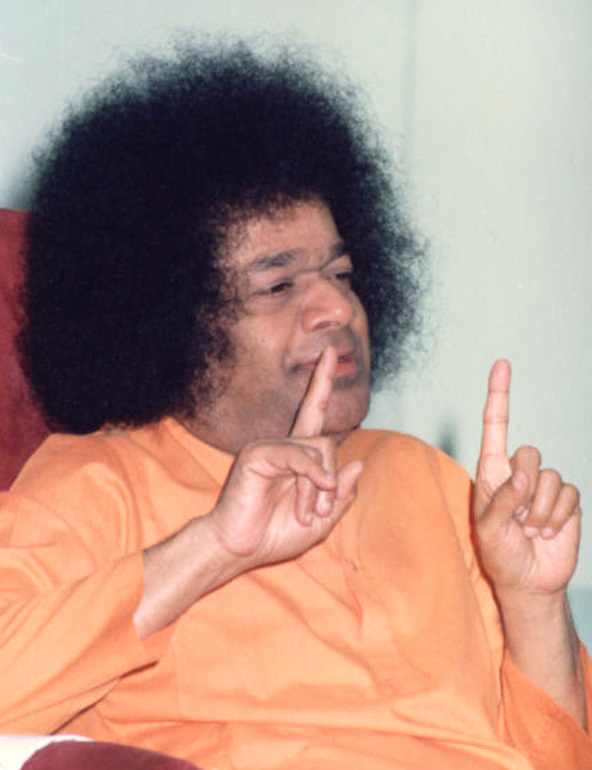 06-What does Bhagawan mean when He says that we must aspire to be “Biggers” and not “Beggars”? 07- What are the six qualities of a true devotee according to Bhagawan? 08-What else does Bhagawan seek, when He says that He does not seek money? 09-What is the type of “special business” that Bhagawan advises us to conduct in the SSSO, instead of money or wealth related business?